Alumni students share their current employment, achievements etc. since they have completed their academic studies ~ we NEED to hear their story. The younger & future generations need to hear their story. My name is Virgil Cardinal. I am a full-fledged Saddle Lake Member, treaty number 5426. I fell blessed and much honored to finish my education at MacEwan University. 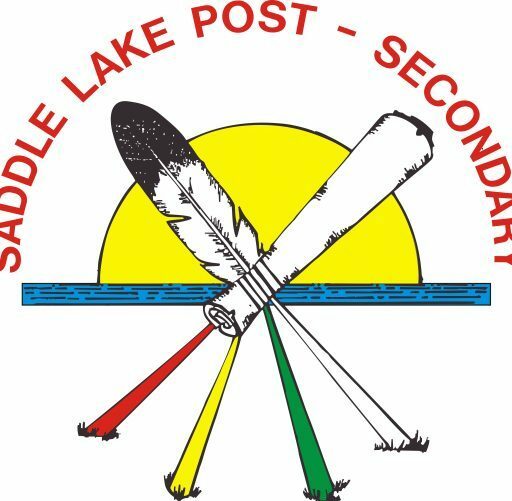 I am very fortunate, to have had the opportunity from Saddle Lake Education Authority be part of my support system, on my education journey. The lovely ladies who run the department was and will always be understanding, supportive, and empathetic to their students. There are no words for the time and effort they put in for the success of the students. I went back to school as a mature student. Previously, I have work experience in the oilfield and construction industry. I kind of did things backwards. I worked on my contingency plan and currently have my Class 1 license. I expressed to myself that this would be my backup plan, if things did not work out in university. It was not until I had my first born son that I decided to go back to school. All I had was my high school diploma and Class 1 license. In retrospect, the choice to go back was the best decision I made. I did it for the right reasons and for the right people. I needed something to share with my sons. Through university there was life and education experiences that I can share with my sons with the extra-curricular activities I enrolled in. I am a firm believer in the heavenly spirit. I have my sons on my mind every day and I make decisions based on their accountability. I love raising my sons, I like to lead by example by showing them my perspective on life. I do it by doing things right. I always talk to my sons about leadership and how important education is. My advice I would give to mature students going back. University life offers so much other opportunities than class time. I had the honor to be President of the Aboriginal Student club for two years at MacEwan University which improved my confidence. These newly gained skills helped me and potential students in their career choices. A lot of employers look for these kinds of understandings. Do not be afraid to push yourself and never be complacent. I would like to thank Debra Cardinal, Bernadine Houle-Steinhauer, Betty-Ann Cardinal and supporting staff for accepting my application, the guidance, and the re-treats. The education department is so successful and has been producing university graduates for many years. The vision and direction that you ladies achieved is through your hard work and determination. It is awesome to see the staff do what they can to have all students have a successful experience in university. As the years gone by and continue to fly, our people continue to educate themselves in every way they can in order to survive. For each step we take in education, we have become assimilated to working for huge salaries and getting more means than we really need. What we need to do is stay humble, assist our people and not to forget our history, tradition, language, spirituality and our culture. Money changes people and the more they have, the more they want. In education and knowing how to change those thoughts we can be a better nation in working together. Strive for emotional perfection, and thoughts. We can only change if we see if our behaviors don’t work with people. We need to recognize our faults, and learning to apologize in a positive way. It is not the money, names, titles, careers, cars or houses that make us who we are, it is the kindness of the heart and kindness to our people that makes us who we are. I could say a lot more; however, some may say I am preaching, lecturing or she should walk or talk. I can only say I am not perfect but strive to what God/Creator wants me to be. So, as [some of] you know CaRMS match day was yesterday and I just wanted to send a big thank you (hai hai – in Cree 🙂 ) to all of you for the role that you have played in helping to get me to this point. Whether that was writing a reference letter, lending your ear when I was deciding what to apply to, showing kindness and love during rotations and in teaching, letting me stay at your house during electives, praying for me and supporting me in our sweats each week at home, anything that you did (big or small), thank you so much. So what did I finally end up choosing? I actually changed my mind during the interviews and after swearing up and down that I’d apply to community medicine, I decided to apply to the Aboriginal Family Medicine Program in Victoria with a good chance of doing a re-entry either after the two years or later on (and finally work and have a real job!) into Community Medicine. I’ve always wanted to do both, so will get that opportunity now and get to focus on Indigenous health in Victoria. It was a big decision, but felt good about it in the end. No more winters!! – well for two years at least anyhow. Please join us in congratulating our very own Dr. Evelyn Steinhauer of Saddle Lake Cree Nation, to the Department of Educational Policy Studies starting July 1 2010 in the area of Indigenous Peoples’ Education. Evelyn is currently the Director of the Aboriginal Teacher Education Program (ATEP) at the U of A main campus in Edmonton and a current board member of the Saddle Lake Education Authority department. It is comforting to know our students have access to an exceptional woman and positive role model like Dr. Steinhauer. Again, congratulations Evelyn on your promotion. I completed my Masters degree in Canadian Studies with a focus on Art history and Native studies in Dec 2005, graduated in the Spring of 2006. I have always had a passion for the arts. I have been creating since I was a toddler and art became my constant companion, or what I would like to think of as my spiritual creative nohkom that took care of me and walked with me in my life. Because I moved away from my family and homeland for years, art was my way of staying connected to where I came from and to where I was going (thanks to my wonderful late nohkom Caroline Whiskeyjack for giving me that powerful advice). After completing my degrees my husband and I urgently wanted to return home in Alberta to learn to speak our nehiyaw language and to connect our children to our cultural roots, history and relations. In the Spring of 2006 Nohkom Caroline became quite sick and I came home to visit, while I was visiting I heard there was a temporary job opening at Blue Quills First Nations College from my dear friend who was taking the Cree language program. Shortly after returning back to Ottawa I received a call From BQFNC offering me an executive assistant job. I currently work at Blue Quills First Nations College as an Art Instructor for the Indigenous Artists Program. When I have the time I also bring art to our communities as an Art Actionist (as Alex Janvier called me). I have been working here since 2006 and love passing on the power of art to others and how healthy art is to the spirit, the mind, emotions and yes, even to the physical body. As a mother of three beautiful children they have seen and learned about different cultures, peoples and worlds through art. More importantly, together we have grown into a close nehiyaw family through art. I love what I do because I am learning with the students about our nehiyaw language, cosmology, our ceremonies, spirituality, and about each other as deeply engaging, strong, creative nehiyawak. I still create multi-media art with the guidance of my spiritual creative nohkom. I appreciate the assistance that I received in educational funding and I wouldn’t be where I am today. Ayi Ayi; a few grammar errors I would like to correct in my post.